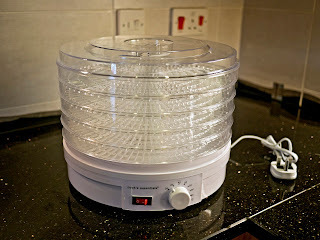 I recently bought a food dehydrator to dry my chilli plants, and I am still exploring various foods I can dry in it, when someone suggested I could use it to make meringues. Great idea. My first attempt were not pretty, but they were feather light (and very brittle) and melted in your mouth. I might have to experiment with adding a pinch of salt, some bicarbonate of soda or vinegar to see if this makes a difference. Of course, you could use shop bought meringues and calculate the syns accordingly. Whip the egg whites until stiff peaks form. Carefully fold in the sweetener. Place spoonfuls of the whipped whites on baking paper on the trays of the food dehydrator. 'Cook' for 5-6 hours at 50°C or until crispy and no longer soft. 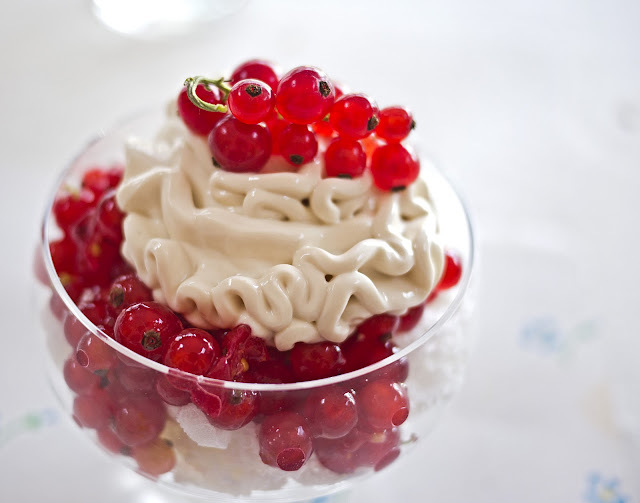 Meanwhile remove the redcurrants from their stalks and place in a bowl with sweetener to taste. 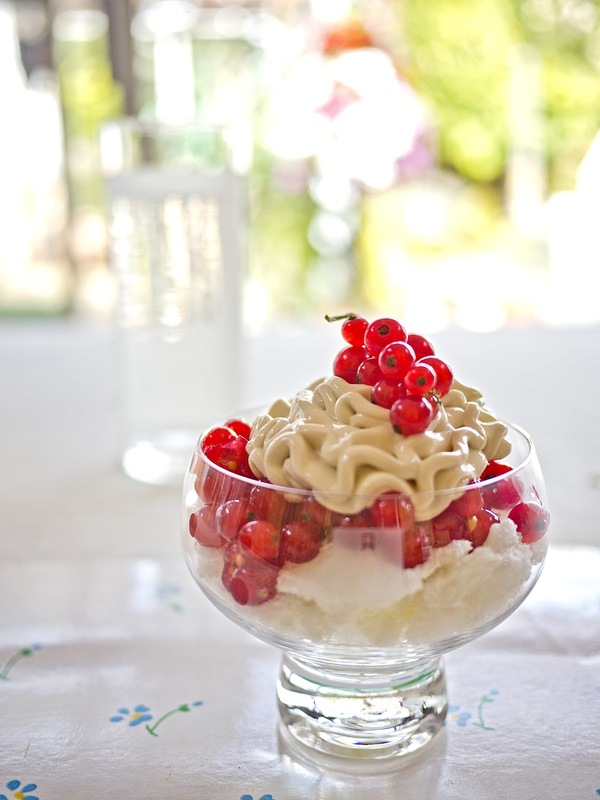 Crush a few berries gently with a fork and stir well. Leave to infuse for at least an hour. 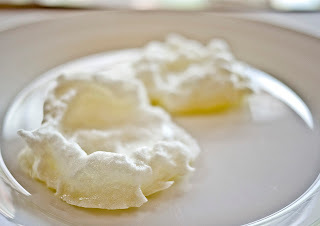 Break the meringues in small pieces and place in the bottom of two glasses. Top with the redcurrants. 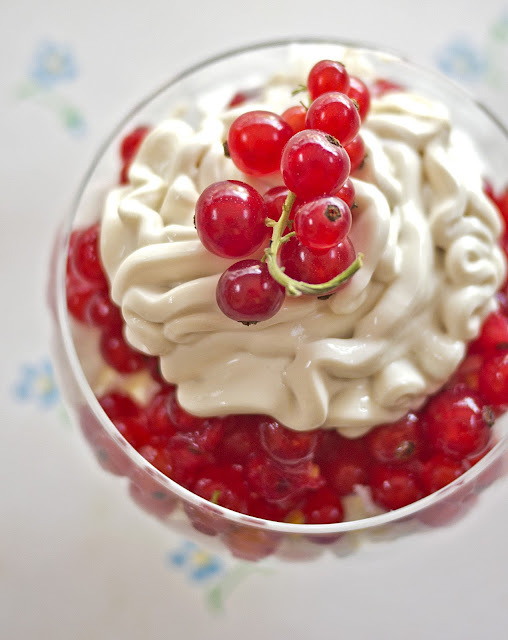 Mix the cream cheese with sweetener and vanilla essence and pipe or spoon on top of the redcurrants.